He explained that there was a regular feeding pattern to the big carp in the lake. Each morning, between five and nine o�clock, the big carp patrol the camp site bank between fifteen and thirty yards out, he told me, pointing across the lake to two very prominent marker buoys used by the sailing club. That�s where the old river bed runs and they also mark a deep part of the channel. He told me to try and get the baits in position by four in the morning at the very latest and then whatever you do keep the noise down. Apparently they bigger fish in the lake were very aware of anglers and the more noise they made the more likely the carp were to clear off. It was clear what this guy was telling me. No strolling around on the bank, no kettle on, no shouting and yelling or larking about. He even advised me to put my bivvy up way back from the water�s edge, above a path that he pointed out, running through the woods bordering the lake. There was a genuineness about him that told me that he knew what he was talking about, so after he�d gone, wishing me I wandered down the bank to talk to the others. We decided to move to the swims John the next day as night was already falling. Nige sleep-walks. Not a joke, I can assure you. It can be pretty serious, and he�s got himself into all sorts of trouble on account of what others may consider a trifle. That night, halfway through a nice peaceful snooze he decided to take a stroll - or should that read, a hop for he was still in his sleeping bag - into the lake. Then, still sound asleep but by now minus his sleeping bag and thoroughly soaked through, he returned to his bedchair and carried on dreaming. He woke up, who knows how much later, shaking with the cold and with his sleeping bag doing a passable imitation of a small boat drifting off down the lake. There was nothing for it but to go in again to rescue it. By comparison my night�s fishing was totally uneventful. First light revealed a white calm surface with a hint of mist lying on the water. Over on the far side, close to one of the marker buoys, a huge fish crashed out twice, right in the spot John had shown me. Then another fish showed about two hundred yards further along the bank. Our British mate was right, there seemed to be fish showing in the deep channel close to the far bank. As we watched, a fish jumped in the far channel by the buoys. The lads on the far side seemed to be fast asleep and all this activity didn�t to stir them up at all and we were keen to move. Nige on the other hand said he was staying put on the strength of the three fish that the point had produced so far. Steve too was still uncertain. I wanted to move; I�d seen the buggers jumping. It was now drizzling steadily and the lake appeared grey and cold. Suddenly a fish crashed out over my baits. It wasn�t one of the true giants that the lake is known for, but was good enough for me. I guessed it at mid- to upper-twenties. Half an hour passed without any further signs of carpy life. Suddenly the tip of the middle rod, cast way out into the middle as far as it would go, and baited with a single soaked peanut, shook violently and the line pulled out of the clip, but no run followed and I knew that, quick as I had been onto the rod, there would be no answering tug from the other end when I struck. I was right of course. I guess I must have forgotten to pack my slice of luck for this trip. Time I moved. I went into Jugon for supplies and a beer or two. The village itself is very pretty, especially in the square where most of the better bars and restaurants are situated. On the other hand the place is a tourist trap. Everything seems to cost twice what it should, and they see you coming from a long way The people are nice enough though. I got chatting with the proprietor of one of the bars, a big chap with an impressive beard. He told me that the owner of the bar up the road loved carp fishing, and he had caught most of the bigger fish in the lake, photos of which were displayed on the wall of the bar. It had started to rain quite heavily so I draped the bivvy over the brolly and pushed a couple of pegs in to keep it from flapping too much. I love the sound of rain on the bivvy. It is so soporific. My eyes fell shut with a resounding clang and next thing I knew it was daylight. The swims were a hive of activity as Steve and Nige fell too with a vengeance, bait flying everywhere; rods swooshing and throwing sticks clonking as baits went flying across the gap to splash, tight under the cliff face. Nige had been plagued with false bleeps all night and we wondered if our Richworth ready mades were too soft to stand up to what we put down at first to bream. Later that morning we discovered the true culprits. A large area of disturbed water in the margins off to our left caught out attention. It stretched for at least a dozen yards and extended out from the bank about five or six yards. Possibly small roach and other fry spawning. I went up to have a look. It wasn't small roach and other fry, it was the dreaded poisson-chat! the slimy horrible little buggers. There were thousands of them and they were spawning, thrashing the water to a foam. In case you have not become acquainted with these ghastly imports. They are actually American Bullhead catfish, famed in the deep south as the prime ingredient of Catfish Pie (but nothing to do with jambalaya). Like all cats they are the most voracious eaters and can clear a big bed of bait in seconds flat! We spent the lunchtime in a nice restaurant in the town square followed by a few beers in the bar next door. To be honest the sight of those poisson-chat had knocked some of the optimism out of us. They can do that, you know. Nevertheless as we set in for the dark hours hope sprang eternal! Indeed, at last the little nuisances long enough to allow a nice common of seventeen pounds to get a look in. At last Nige had landed a decent fish, and from what was generally accepted as a comparatively hard water. Maybe the big fellas would soon be putting in an appearance. I wasn�t happy on the point. I thought there were too many rods cast across the gap to the cliff face and in the shallow water that meant the chances of spooking a big fish were quite high. I decided to move about half a mile up the bank towards the dam, to a swim where a large bay opened up to my left, with a thick marginal weed bed running along the front of the swim. I baited heavily with cooked peanuts and fished nuts balanced with foam. The hookbaits were dipped in neat Strawberry flavour to - hopefully - give them an edge over the free baits in the carpet. I sat in the sunshine, watching a party of anglers as they arrived on the camp site on the opposite bank. It was clear that some, if not all of them were carp anglers, and it was also clear that they knew exactly what they were doing. No sooner had they arrived than a couple of them ran down to the water�s edge and dropped a few bits of gear in the swims that they wanted. I cursed out loud for they�d picked the very spot I was considering moving to if the fish didn�t oblige where I was. I resigned myself to staying put, whatever happened and put the kettle on for a cup of tea. The steam had just started pouring from the spout when a battered white Renault 5 with French plates drew up behind my swim. I gave the driver my as usual incomprehensible, bonjour and he said, 'aw right, mate? Caught �em all? What was a Brit doing driving a French registered car? It turned out that he lived nearby and better still had caught some bloody great carp. He showed me the photos of some of his whackers from the lake, told me I was in the wrong place and said watch out for the rangers. He pointed out a few areas that he felt might hold a few fish and told me that he preferred that other side of the lake below the camping in a deep channel that ran close to the bank where the old river bed lay�where all the Dutch guys were! Now what? We had one last lake to try. The lower of the two lakes at Jugon les Lacs was another couple of hours further up the road so we gritted our teeth and set of. By eight o�clock we had arrived at the lake. 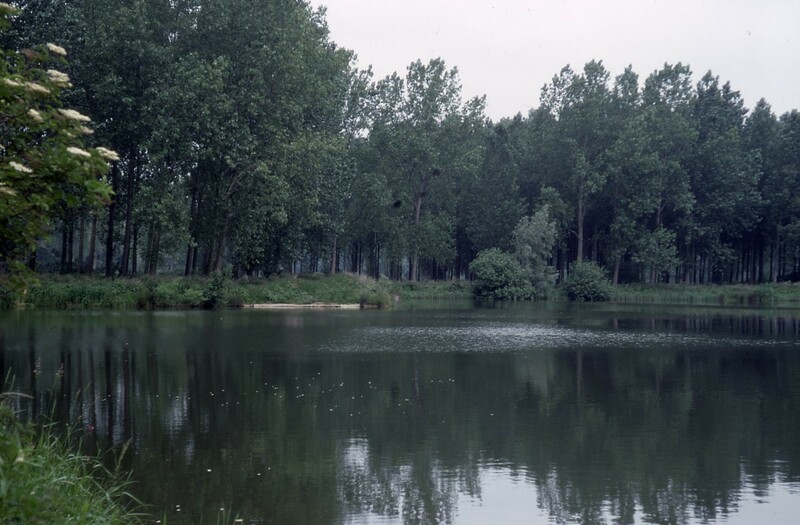 The lake had appeared in the press when a famous French carp guy mentioned it in Le Pecheur magazine. As result it was now the preserve of Dutch and German anglers. If they want to fish it then there must be good carp in there. In fact as we drove onto the huge campsite alongside the lake we could see a bivvy and a battery of eight rods at the water's edge. I went down for a chat�not much of one as it turned out. The anglers in the bivvy were Dutch and very uncommunicative and it was clear I would get no info from them. Miserable b��s! We needed to buy day tickets to fish the lakes (no nights) and I got these at the camping reception. I asked about the fishing and it turned out that one of the Dutch guys down by the lake had caught a 49lb mirror from the lake a couple of days earlier. No wonder they didn't want to talk to me! I had a rough idea in my mind of the layout of the lake, and I had seen photos of some carp against a background of a very prominent cliff towering over a section of the eastern bank. You couldn�t miss such a feature and as we drove around the western side of the lake, sure enough, there it was across on the far bank. There was a nice shallow point running out from our bank that seemed to point straight at the dominating cliff. It seemed an obvious place to start fishing so we put up the bivvies, cast the rods out, and then set about getting some food cooked and wine bottles opened. I think we all felt a bit shell-shocked after the long, hassle-ridden day, but a crate of beer was unearthed from the back of the van and that helped lift our spirits, that and the report of the 49lb mirror. It helps just knowing that the fish of your dreams are actually in the lake so at least that gave us hope. So far we had been chasing our tails on the back of rumour and tittle-tattle, and while it is all very well fishing unknown quantities we were running out of days and desperately wanted something a bit bigger. Darkness falls late in summertime in northern France. Even at 11.00pm we could still see to fish. We agreed that it would be silly for us to get a tug for night fishing on the very first night we were there, but in the end decided to risk it. We had almost come to the end of the holiday after all. We all turned in at about midnight. Tired though I was, I stretched out on the top of the bedchair in the warm night air, enjoying a last beer and fag before climbing into my sleeping bag. The surface of lake was white calm, the air still and breathless. 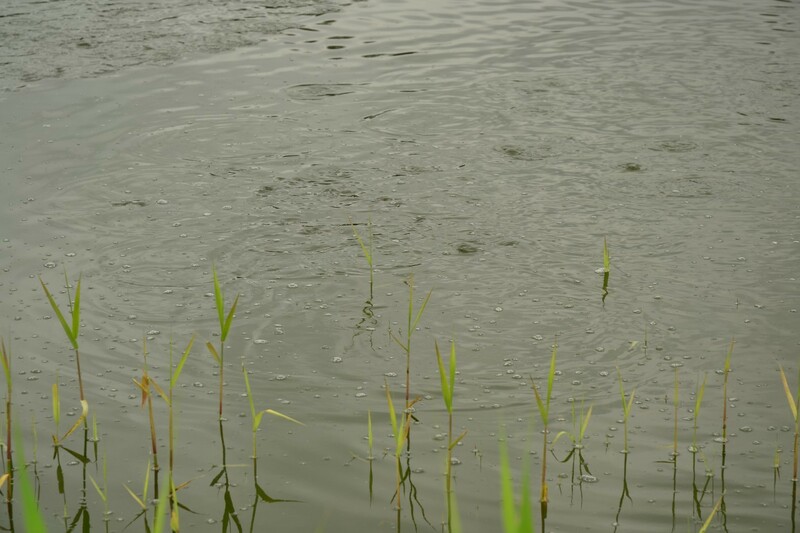 If a carp had jumped we�d have seen or heard it a mile off but apart from the ubiquitous frogs and crickets no carpy sound disturbed the stillness. My eyes were drooping with fatigue and I was sliding gently into sleep when I heard a buzzer. Nige was in! I heard him splashing through the marshy ground in front of his rods, the buzzer ceased its muted yell and the clutch uttered one very short, almost apologetic grunt. Not much of a fight so far. I climbed into my boots and joined Nige with the net. The carp, if carp it was, didn�t seem to do anything. It was just a dead weight at the end of the line, no tugging back or searing runs. When the poor beast was finally brought into the margins we could see why. It was a carp all right, a common of about ten pounds, but it was riddled with fin-rot and looked a very sorry sight indeed. We unhooked it in the water and watched it�s pathetic attempts to swim away with its sad remnants of tail, dorsal and belly fins rotted almost completely away. Poor Nige. 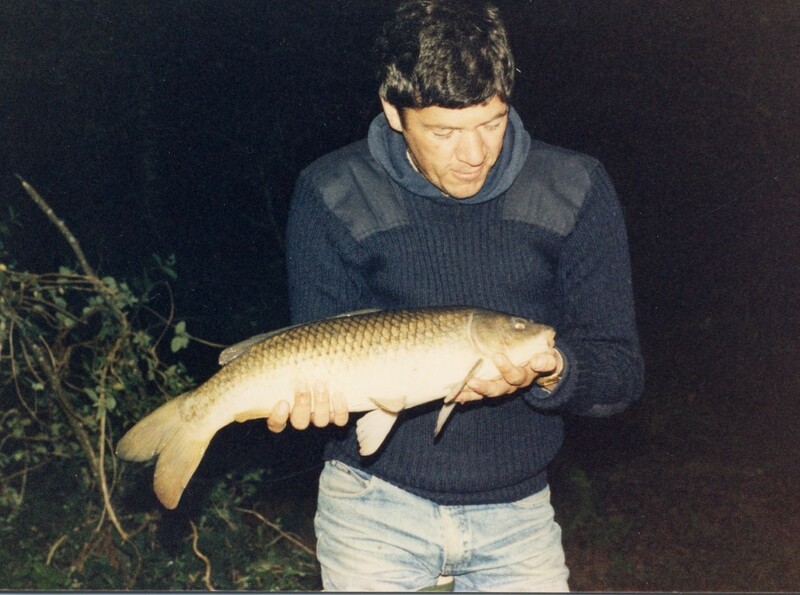 I don�t think he was too pleased with this mank looking carp�but a carp's a carp and at least we had opened our account, and on the first night too. Nige re-cast while I put the kettle on to make the tea. In the pitch darkness we sat, warming our hands on the hot mugs, listening to the sound of the crickets and the frogs at their nightly chorus. Somewhere out in the darkness, over by the foot of the cliff a carp leapt. It sounded like a very good fish. Suddenly Nige was all action as he grabbed the stick and sent more freebies out into the darkness in the general direction of the splash. I was sitting on the bedchair, looking at the rod tips, when suddenly the whole-set up began to bang and shake. For a few seconds I didn�t twig that I�d had a take - of sorts. Then the left-hand rod tip pulled round violently. I leapt to the rod, striking hard�at thin air. Very curious. The rest of the morning passed by slowly and gently. We were booked for Sunday lunch at the restaurant Nige knew and were due there at one o�clock. But we certainly couldn�t put in an appearance at any restaurant looking like this. Shaded by the overhanging trees and in the cover of the van we had a wash, a shave and a change of clothes and eventually emerged looking reasonably presentable. We packed the rods and the rest of the gear away and set off for the restaurant. Over lunch we pondered over our plans for the remaining four days. We all wanted a big fish, of course. After all, isn�t that what people go carp fishing in France for? The problem was, where to go? We were perhaps within about six or seven hours driving of Salagou, the well-known water way down to the west of Montpellier and the reports I�d had of this water made it a tempting choice, but we all felt that by the time we got down there and were fishing efficiently, it would be time to come home again. There were s few stand by alternatives in Brittany and it was these that we decided to investigate. This was our first choice, a huge barrage lake just to the north of Nantes. It was rumoured to hold carp and we thought it might be worth a try. Sadly all we got out of the visit was a glorious sunset! After a blank 24 hours we moved again, this time to a lake that was becoming more well known in the UK, Lac de Tremelin a comparatively small water of about 100 acres. I had mentioned the lake to Franck, who had warned us that the lake was a leisure center that would inevitably be very busy and crowded. He also mentioned that night fishing and camping by the lakeside would pose a few problems. He wasn�t far wrong. First impressions of the lake were not good. It looked as if all of France and his wife was either on, in, under or by the lake. It was chaos, with pedalos, rowing boats, sailboards, swimmers and water polo matches everywhere we looked. We hated it at first sight but we figured that, having come this far, we should at least give the lake a fair chance. We had a walk around and after a long afternoon�s recce found a couple of likely looking points on the far bank. Here we would be able to intercept fish cruising in or out of a couple of bays that cut into the shoreline on either side of the point. Unfortunately getting to the swims entailed a forced march carrying all the gear, and as we were knackered anyway from the driving (not to mention the Sunday lunch), we looked around in the hope that we could find a rowing boat that we could hire for an hour in order to get the gear across in one hit, without the route march. It turned out to be a fruitless task, but after an hour or so I came across a guy who seemed willing to hire us his own boat for a couple of hours. He wasn�t cheap but I parted with the six quid he demanded and we began to load up the boat under the curious, and watchful eyes of a group of uniformed, official-looking Frenchmen who appeared to be taking more than a passing interest in us. Finally, when the boat was down to it�s gunwales with the weight of the tackle, authority reared its ugly head and we were told in no uncertain manner that we were not allowed to camp anywhere other than on the official camp site. Certainly not by the side of the lake, even if we weren�t fishing. We did one night on the campsite and at first light we left! Beautiful lake though it may be but it wasn't our cup of tea at all. By mid-afternoon we were on the river where our friends had caught carp the previous year, and where Nige had lost a very large, completely uncontrollable fish. 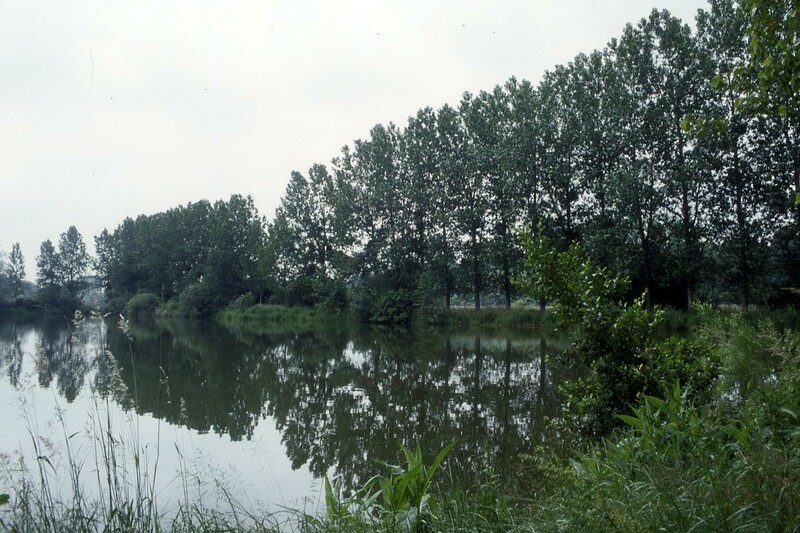 The River Oust looks is a carp man's dream with a deep steady flow, dark, turbid water and a small head of natural, wild carp looking more like barbel, in fact, than carp. It joins the river Vilaine, at Redon where the two rivers merge to open out onto a wide glacial plain. Fish in excess of fifty pounds have been landed here and carp equally as big have been seen in the Oust. We chose adjacent swims covering both near and far margins. Steve put his third rod very tight to the near bank, under an overhanging willow tree that stretched its shady branches well out across the river, just upstream of him. As before, we used nuts and maize for bait with a scattering of boilies for good measure. I went into the nearby village for supplies of beer and fags and got back to the river as it was getting dark. The place looked transformed by the onset of the night, for suddenly the water had become alive with fish, albeit mostly bream, that were topping over the baits. I settled under the brolly and pulled it down low over the bedchair. A road bridge 100 yards away carried a fair bit of traffic and as we wanted to keep a low profile and fish through the night. we didn't use bivvies but slept under the stars. To honest they weren�t necessary for though the night was certainly warm enough. I suppose I must have dozed off at around midnight, but I can remember hearing a buzzer sound on and off for a few seconds sometime during the night. It didn�t seem to amount to anything so I turned over and went back to sleep. It wasn�t until the next morning when Steve recounted the dramatic tale of his bionic wildie that I realised what I had missed. What an odd looking carp it was! It had picked up his sweetcorn hookbait, fished under the willow upstream of him and then shot off downstream and through the line on his middle rod. This accounted for the strange sounding take I�d heard the previous night. By a quirk of good fortune the two rods had untangled themselves and there followed the fight of a lifetime with a superb, lean wildie that weighed in at just under eleven pounds. Sadly none of the photos I took at the time do justice to this incredible fish. The slope of it�s forehead, the shape and massive size of all it�s fins. 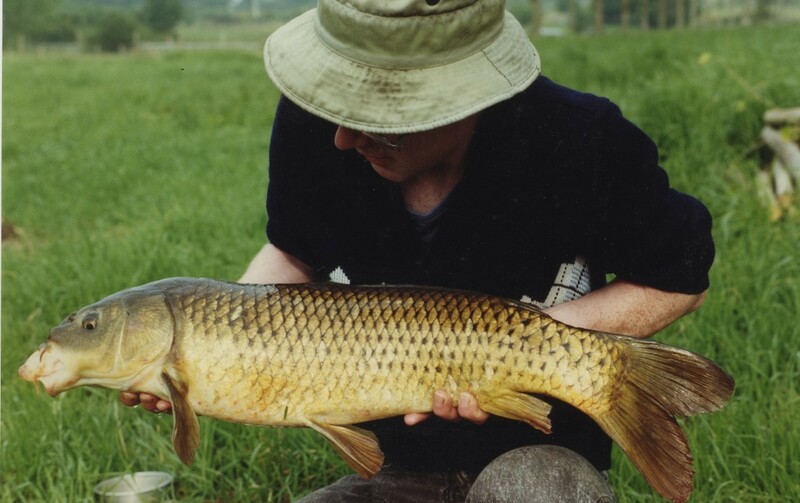 I�ve never seen a carp like it; a real powerhouse of a fish, built for living in fast flowing waters. It must have been about midnight, and I thought about getting the rods in when out of the darkness a figure loomed. It was Franck bearing gifts. More beer. Good lad. We chatted for a while and watched as the electrical storm moved off slowly southwards. There had been no rain as yet, but it certainly threatened. At about two o�clock in the morning I decided to wind the rods in and get a few hours kip. Franck wandered away down the bank, muttering. �I am going to research for carp,� whatever that means. I had just bid him good night when we heard Nige�s buzzer. The run had hardly started when we heard him rush to the rods and bend into the fish. Alas, fortune wasn�t smiling on Nige that night as the fish got away on an unseen snag, as did the next one, and the one after that. The poor bloke was obviously sitting on a bagful of carp and the mother of all snags. The remaining dark hours passed quickly. I slept fitfully for an hour or so but by five in the morning I was fishing again. The water was flat calm and heavy, oppressive weather of the night before had gone The morning promised sunshine and contentment. I put the kettle on and drank the first coffee of the day as the dawn broke. I�d not heard any action from Nige�s swim, and as I strolled up with a coffee I saw that he was out to the world. Later he told me that he�d been up all night with hoards of bream and had wound in at about 4.00 am to get some kip. Meanwhile Steve had been busy again. He was definitely the kiddie on this trip. Two more commons of twelve and fourteen pounds had come during the night with a further carp lost. Nice work, sunshine. 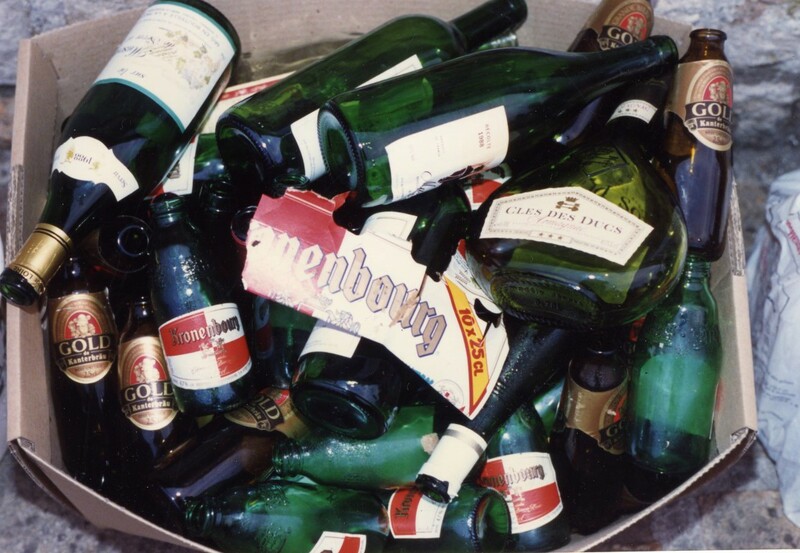 Nige, Franck and I went down to do the weighing and the photos and polished off the few remaining beers. Nige was a bit fed up with catching bream, and even Steve, who had hooked four carp so far, felt like a move. We were perhaps being somewhat premature in thinking of moving off to another water already, but we all thought that this lake was unlikely to push up a really big whacker and to be honest, the wanderlust had set in. I fancied a try for a river carp and as Nige had friends further south (an English speaking restaurateur who could be relied upon to lay on a good Sunday lunch), we decided to move, this time to a river system that had produced fish for some friends of ours the previous year. A new water beckoned, wild river carp and the special challenge they pose. I looked curiously at Nige. He was trying hard not to laugh. What on earth was going on? We carried on in silence for a few more minutes until we came to a tiny village where we had to give way at a cross-roads. A small bar on the opposite side of the road caught Steve�s eye. �Well I could REALLY do with a beer!� Now this is not like Steve one little bit. It�s not that he doesn�t like beer, but he�s not what you�d call a big drinker. Sure, he likes a glass or two, but his thirst had never bothered him at this time of the morning before. This was completely out of character. Nige ignored him and turned to ask me how far it was to the next town. I looked down at the map and told him I reckoned it was about thirty-five kilometres. I heard a groan from the back. We pulled over the cross-roads and Nige parked in the small village square. I had no idea what had prompted this change of heart but it was ten-thirty and I suppose we could take a respectable ale or two now. We locked up and Nige and I strolled across the square while Steve ran ahead. �He�s keen to get them in isn�t he?�, I queried. It was around mid-morning and we were all gathered in my swim sharing a few beers when a young lad of about eighteen years of age tentatively approached the bivvy. In halting English he asked us if we had, �taken any carps�. We told him what we�d had and he sat down for a chat. 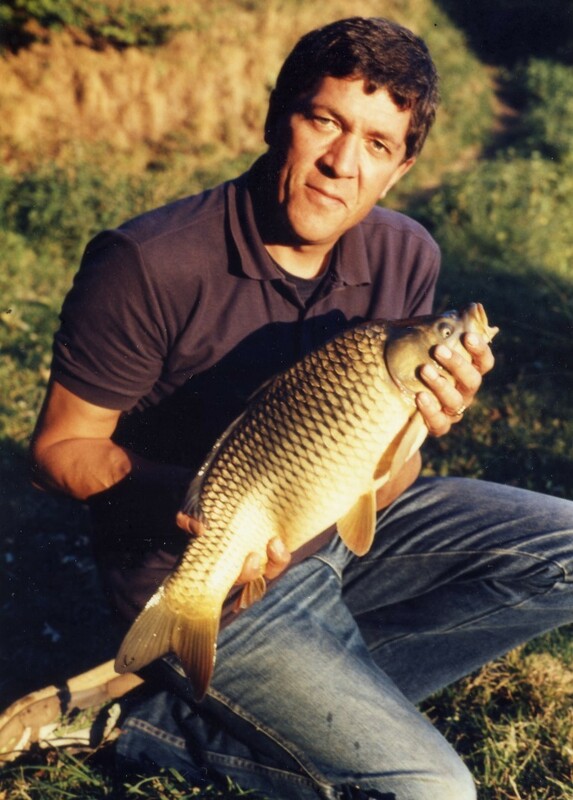 It soon became clear that this was one of the French carp anglers mentioned by the tackle dealer in the town. Little did I know it at the time but this meeting was the start of a friendship that we would strengthen as the years went by. Now a hugely successful businessman in France's carp fishing industry Franck Martin - for that was his name - was to prove a wonderfully helpful asset to us; not just on this trip but on others as yet unplanned and unknown awaiting us somewhere in the future. Over a cup of coffee we chatted about carp fishing in general and bait in particular. I was clear that this fella was no mug and he knew what he was talking about when it came to bait. Soon his photos were produced to the accompaniment of admiring grunts and gestures. One fish of just under 38lbs, a common, really caught the eye, a very lovely fish that apparently was the record for the water. There were, it seemed, several even larger carp in the lake but according to our new-found friend, the total stock was only around 200 fish. Not a lot in 400 acres. Looking at Franck�s photos, including several multiple catch shots, it seemed as if the carp moved around in a huge shoal and if you were sitting on that shoal, you could really bag up. 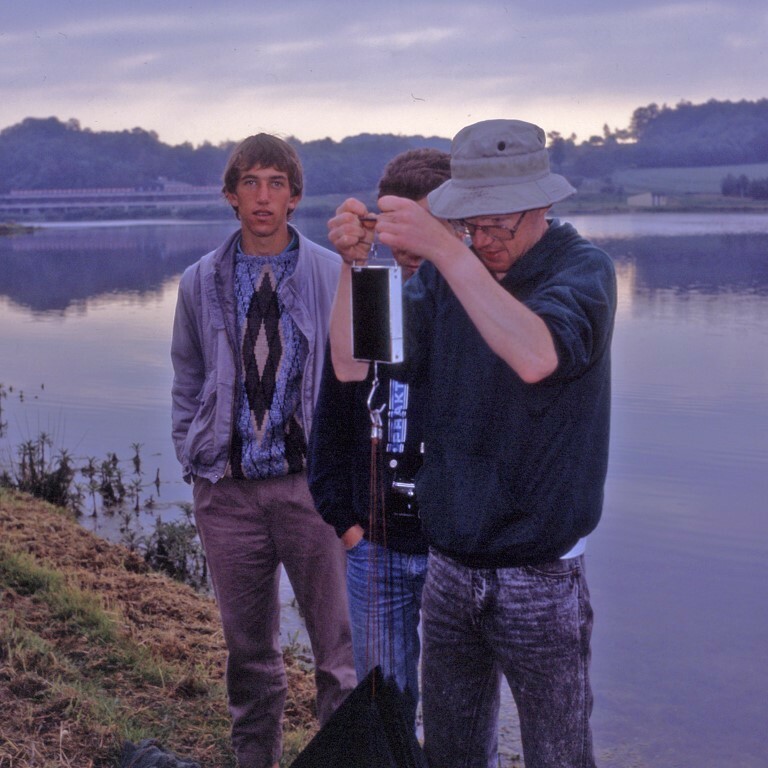 Here Franck looks on as Steve and Nige weigh another fish. Franck offered to show us a couple of the swims he had done well in, so we set off for the far end of the lake where a small, inviting bay branched off the main lake. But though it looked very carpy, the whole area was covered in an impenetrable coating of blanket weed that had gathered in the bay on the breeze that was pushing directly into it. It looked unfishable so we decided to do another 24 hours where we were and take stock the next day. We went into town for a meal and a beer with Franck, and after dropping the young Frenchman at his house, returned to the lake in high spirits. Nige moved from the point to my right to the one on my left, while Steve and I, having both had fish that morning, decided to stay put. It was blisteringly hot and we decided on a swim to clear the slight fog of beer that still haunted the depths of our grey matter. In the cool clear water we could see down the lake bed, with bars and gullies and little silt traps here and there. We put markers out on likely looking spots and piled the bait in around the markers. 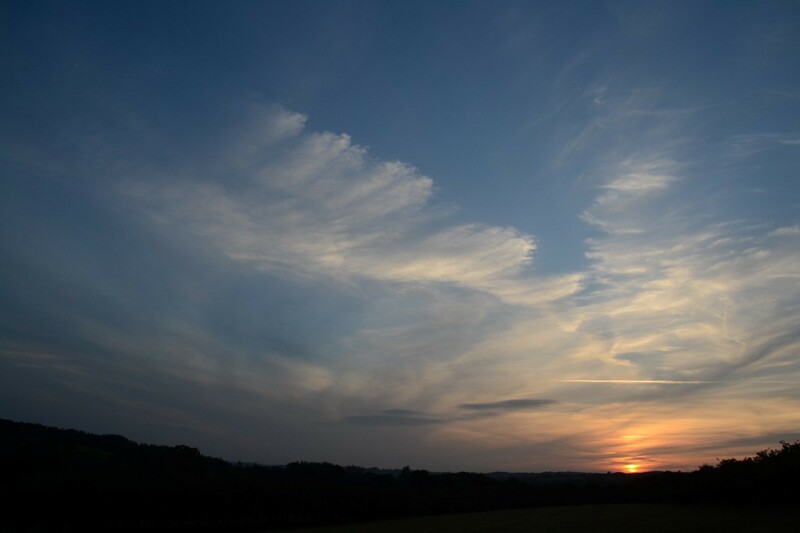 The evening brought a lovely sunset but there was a lot of wind in the sky, the clouds looked breezy and I thought we were in for a bit of a blow later, maybe a bucket of rain too. Sure enough as night fell the crackle of thunder and lightning loomed on the horizon and once again we were treated to nature�s spectacular light show. It was a fantastic sight and I sat on the bait bucket, beer in hand, watching the awesome power of the elements while the air seemed to crackle and hum with energy. Just as on the previous night this one was warm, humid yet dry, and somehow the violence of the still flickering lightning didn�t seem threatening at all. A few beers and a belly full of pizza later we returned to the lake. We packed up in the gentle afternoon heat, piled the gear into the back of the van and set off for the new lake not far away. Less than half an hour later we pulled up on the barrage, dragged the tackle from the van and set off along a steep narrow path that wound its way through a thick pine wood. The wind had picked up during the evening, but it was still dry and warm. The breeze felt very refreshing, blowing hard from an easterly direction, straight into the bay we�d been shown by our friend from the shop. It looked ideal and the lunchtime session had brought with it a feeling of quiet confidence. This new lake looked absolutely fabulous, and now at least we knew we were on with a chance of some better fish. The lake stretched out down the valley like a long silver snake, winding it�s way between rocky points and headlands. I�ve fished bigger waters since, but at the time it just looked huge and magnificent. I didn�t know how even start fishing it. We decided we would be silly to go anywhere but the places we�d been shown by the tackle shop owner as proven fish producing areas. If they didn�t pay off for us, we could always move on later to other parts of the lake. By nightfall we were spread out along a nice bit of bank. Steve fishing a nice gentle slope dropping to the lake bed, a depth of about fifteen feet. Nige was fishing just off a point where he could cover a small, shallow-looking bay as well as the main area of the lake in front of him. We all baited up at catapult range and then sat back to await events. Nothing happened and as the darkness fell we all turned in. I dozed, not really asleep so I was half awake when I heard the first fish bosh out at about 4.30.am. It sounded very close, almost as if it wanted to join me in the sleeping bag. Shortly afterwards another fish crashed out twice. I noticed how warm the breeze was for the early hours of the morning, a real feeding wind. I somehow just knew I was going to get a take and climbed out of the bag and stood by the rods. I heard another fish jump, this time it was in front of Nige and wondered if he�d heard it. We smoked in silence, listening the gentle lapping of the waves and the whisper of the wind in the corn field behind us. Even the crickets had temporarily ceased their racket. I went back to my swim and stood over the rods. Why hadn�t I had a take yet? Watched pots, and all that, Ken, I said to myself and returned to the shelter of my brolly. I was lying on top of the sleeping bag when the run came, two single bleeps followed by a blistering run. Everything was shaking and banging as the fish took off at tremendous speed. Nigel was there almost before I was. He�d been changing baits when he heard the run start and came charging over, all energy and excitement. The first run on a completely unknown water can get to you like that. The fish went off like a train and felt big, or should I say, it felt like every fish we�d hooked so far this trip; mean and powerful. It took quite a while to get the fight going my way but once I had the upper hand, the rush of adrenaline dwindled away to a trickle and I realised that the fish was no lunker after all. It still scrapped like a maniac though and it was only after several searing runs for the weed were halted that Nigel scooped the fish up in the net. 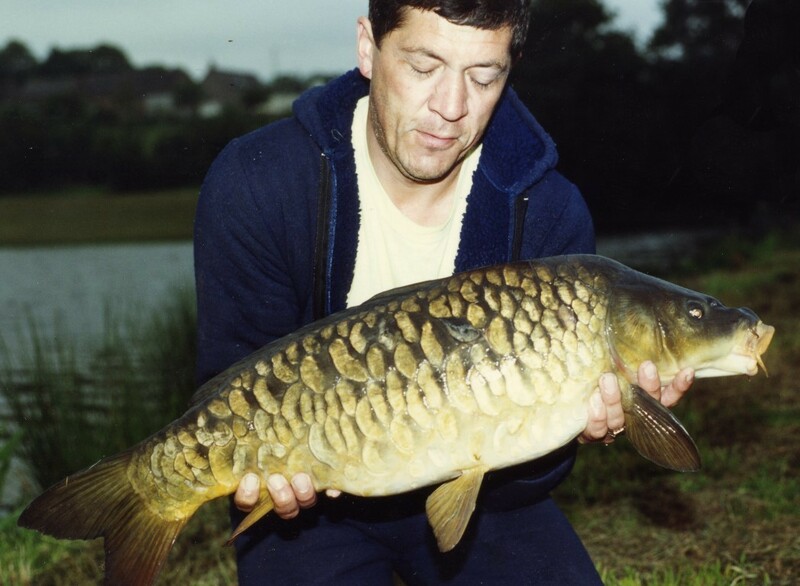 We weighed and photographed a very pretty fully scaled mirror at just over seventeen pounds. Meanwhile Steve was in action down the bank to our right. Once more Nige was called upon to do the netting, this time a scale-perfect nice common, also 17lbs. We felt a lot better that morning I must say. We had no further action, and as the sun rose higher in the sky, it was clear that the fish were not feeding during daylight. We saw no sign of fish at all, and resigned ourselves to a long wait until darkness. We must be in a small fish area, we thought. Perhaps a more detailed look around was called for. We spent the rest of the morning scouring the water and peering through binoculars for signs of bigger carp but all that we saw were small fish. The long day passed with plenty of action from the small carp, of which there appeared to be thousands. That night we decided to bait up really heavily with a couple of buckets of nuts and the remains of the maize, with a few boiled baits mixed in with the bits. We had taken a wide selection of baits, including ready mades and several kilos of frozen birdfood boiled baits along with loads of other bits and bobs that we thought might work. The second night approached and Steve and I really piled the bait in and our baited area was soon carpeted with about fifteen kilos of nuts, maize and boilies. Nigel meanwhile had taken himself off to fish another area well up the bank from us where he�d found a nice shelf and plateau about forty yards out. For all our hard work baiting the swims so heavily, Steve and I never had a sniff that night but up the bank Nigel had an absolute hat full. In fact he never managed to get all three rods fishing at once, and in the end finished up using just one rod. Fish after fish, but nothing over about five or six pounds. By the small hours of the morning he was so shattered he could hardly keep awake to land the next carp. Sadly they were all small ones but they were really hard fighters. He kept telling himself that it was only a matter of time before one of the big lumps we�d been told about made a mistake. But the stream of single figure carp flowed relentlessly and by four in the morning he�d had enough and he threw his rods into the back of the bivvy and turned in. We were all getting a bit worried about the lack of better fish but then my first fish of the morning was a ten pound common so we felt a little bit better. Unfortunately it was a flash in the pan as in just a few hours fishing Steve and I must have had close to fifty takes, the majority being commons between seven and eight pounds in weight. At one stage I had fish on all three rods at once. I landed them all then chucked one rod back out only to have it taken on the drop. It was crazy fishing. Steve was the next one to perform the three on at once trick, then I had another take, then another. Nigel didn't even bother casting out. He said it was tiring him out just looking at us. This was getting ridiculous. Were there any bigger carp in the lake? We were beginning to doubt it. In the end we decided to find a local tackle shop and see if the owner could help us at all. What worried us most of all was the fact that the fish we were catching looked nothing like the dead and dying fish we�d been shown up at the cafe. Those were thick- bellied, dark golden fish, all doubles at that, while the fish we were catching were pale, slim and torpedo shaped. We had our doubts that the fish came from the same water at all and it was obvious that the crafty sod at the cafe had seen us coming as soon as we got off the ferry. We drove into Vitre, the nearest big town and got lucky by driving straight up to the front door of the local tackle shop. That�s handy, Harry! God knows how we�d have found it if we�d had to ask directions for the shop was tucked away in a tiny back street and we�d driven straight to it by accident. The owner said that he knew the water we were fishing and assured us that it didn�t hold any big carp at all. These had all been removed a few years previously and killed or moved into private lakes. Following the drain down it had been stocked with 10,000 three to four-kilo carp. No wonder we were getting plagued with them. He told us about another barrage not far away and pointed it out to us on the map. He even told us that there were a couple of French carp anglers fishing the water who used English methods and that they had caught fish up to mid-twenties. We thanked the shop owner for his kindness and made to leave. The new lake was a fair-sized affair of about 400 acres another barrage lake not far away from our starting point. We were undecided whether to move onto the new barrage straight away or to return to the small fish water for another night. Another committee meeting was called for and that entailed a trip to the nearest bar for light refreshments. We drove back into town, past the chateau and into the old market square. All of us were feeling a tad thirsty, and a few beers would go down a treat. The nearest decent-looking bar was crowded with lunchtime drinkers, getting ready for their midday meal. Idly I glanced at the menu to find a list of some of the most appetising pizzas I�ve ever seen. A beer and some grub was in order for we were tired and hungry after the long ferry crossing and the subsequent drive down to the lake so when I spotted a welcoming sign saying, 'Bar' we needed no further encouragement. It was time to practice my appalling French on the local populace. �Three beers please!� The bemused cafe owner looked at me, a puzzled expression on his face. He obviously didn�t understand a word I was saying. Funny, I thought I was doing really well! I dug into the French/English dictionary and eventually managed coax three beers out of the patron before attempting to explain that we wanted to fish the lake and please, could he tell us if there were any big carp in there? �Yes,� said monsieur. �Some nice carp have been taken from the lake.� I didn�t catch the nuances behind the word taken until much later: when he�d said �taken� he had meant it literally! I ploughed on in my halting French, Nige chipping in the odd word from time to time as he resurrected memories of long forgotten school days and distant French lessons. Hunger was gnawing a hole in our guts so we decided to eat at his cafe and talk things over during dinner and a few more beers. We were having coffee when the patron came in with a fish box containing a bloody, but still-alive mirror carp of about 12lb. Proudly holding up his ghastly prize he assured us that it had come from the lake and assured us that his friends had two more out in the boot of their car, taken. We went outside to examine two double figure commons, both either dead or nearly so crammed into a small metal keepnet (for want of a better word). Nasty though the sight of those dead fish was, they were still big enough to whet our appetite and as soon as we were back inside we were reaching for our wallets, for it appeared that our friendly bar owner just happened to sell the permits for the lake as well. With the aid of a local map the patron showed us where we could get down to the water and kip by the lake, though he warned us about the night fishing which was absolutely forbidden. We were too exhausted to fish the night anyway, so accompanied by a case of beer to see us through it we set off for the lake. It was not yet dark as we set up the brollies, light enough for us to scatter some bait about and lace the margins with peanuts, maize and sweetcorn against the possibility that the fish would come in close during the night. We stretched out on the bed-chairs and watched a fiery sunset streak the mackerel sky with red, drinking the case of beer and chatting the dusk away to a background curtain of sound from a million crickets. As darkness fell and a thousand frogs joined in the deafening chorus I put the kettle on for the first coffee on French soil and broke the seal on the cognac bottle. Way out in the bay a carp splashed noisily through the surface and big grins broke out all round. Despite the fatigue I couldn�t get to sleep at all that night. I was kept awake by the almost constant noise of fish crashing out all over the surface of the lake, to say nothing of the never-ending din from the frogs and crickets. Dawn broke chilly and damp with a heavy dew drenching the grass underfoot. With no real plan of campaign it seemed logical to cover all the areas that we�d baited up the previous night. That accomplished I set off to explore, leaving Steve guarding the rods. I�d not gone far when I heard a whistle. I ran back to the rods to find Steve doing battle on one of my rods! �What�s it feel like?� I asked. �May go mid doubles,� came the reply. That�ll do for starters anyway. The fish was really pulling hard and the rod was bent right round to it�s limit, so we were both astonished to see the size of the carp on the other end. No more than eight pounds, if that. We had to have a photo though. It was a milestone carp after all. Back in the early 80s I used to share the odd pint with a guy called Chris. For much of his youth he lived in the south of France in a little village called Montauroux in the Var departement. We discovered over a chatty pint that we were both keen anglers. 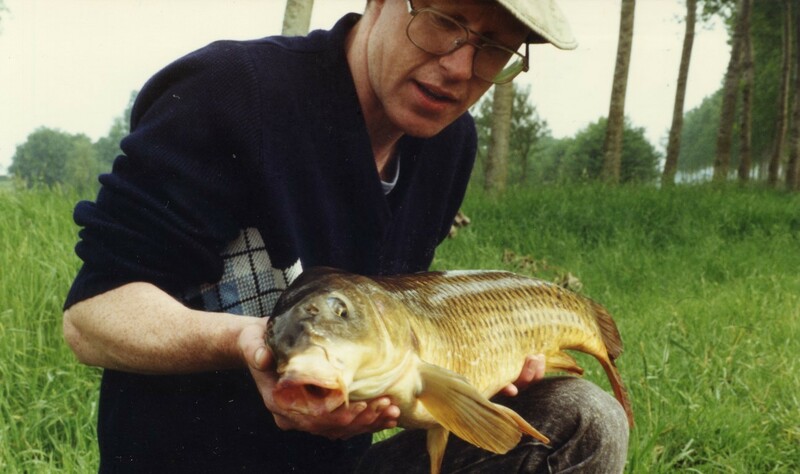 I mentioned that my passion was carp fishing and Chris told me that there was a lake not far from his childhood home where he�d swum and water ski-ed as a youngster and where he�d seen some very big carp which were seldom fished for by the locals. Nor did he fish for them; he was happy as Larry spending his youth in the south of France and fishing was not high on his list of priorities. Yet this particular lake held everybody�s interest, for it was here, he told me, that on rare occasions a carp of monstrous proportions was landed. One weighed over 30 kilos. And do you want to know the name of this lake that I was told about at least four years before the UK carp masses found out about it? It�s called the Lac du St-Cassien: perhaps you�ve heard of it! 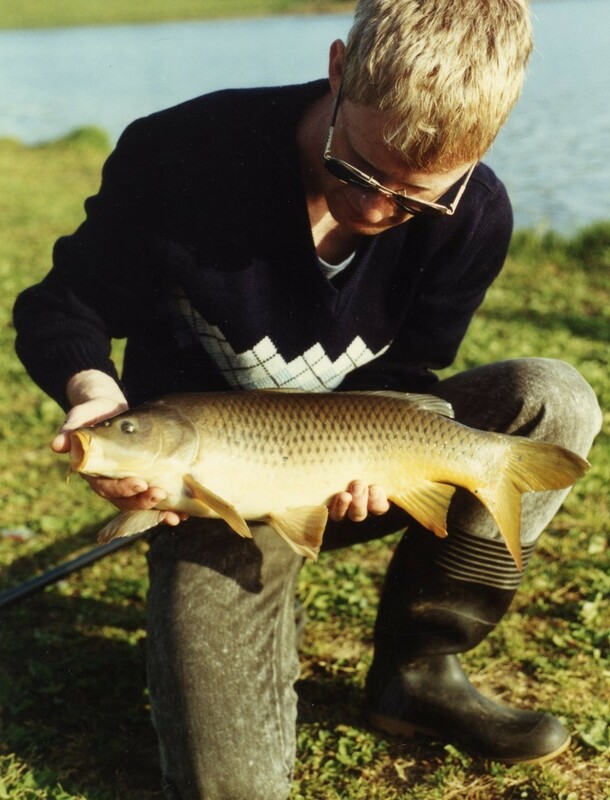 Time passed and though I kicked myself as the tales of those huge carp filtered back to the UK I somehow thought those fish were beyond my capabilities, some mythical monster that I was not worthy to slay. 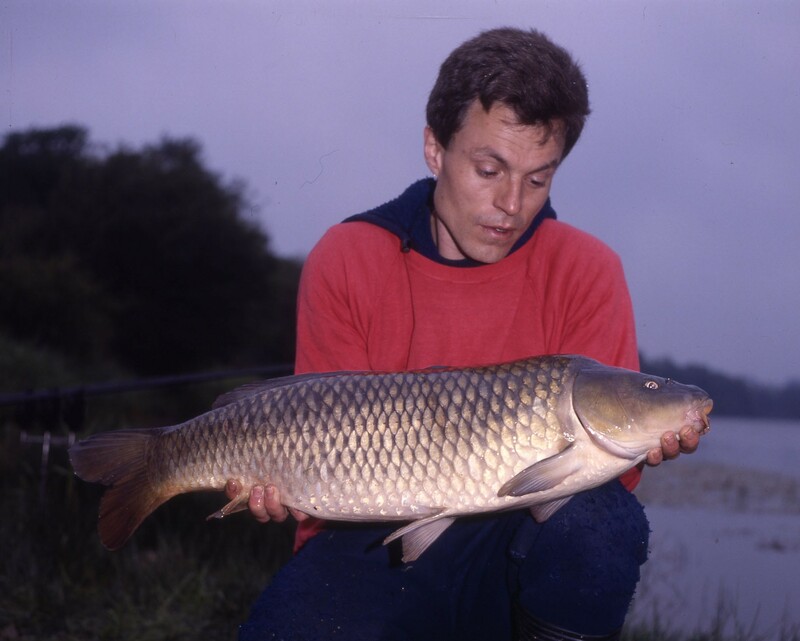 Even when Carole and I went to France for the second time in the autumn of �89 with friends we spent much of the time fishing for mullet and carp fishing never crossed our minds. 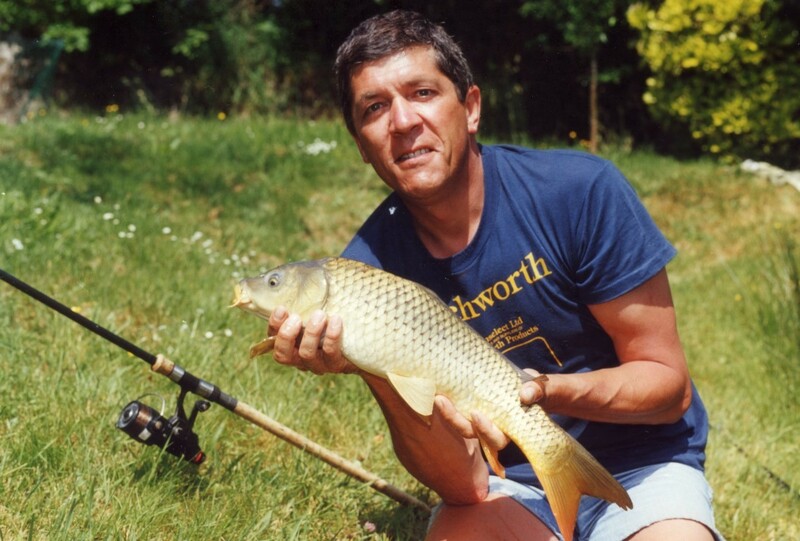 Yet, back home it seemed there were a few hardy souls in Cornwall who fancied the idea of fishing abroad, and it was fellow Carp Society member, Gary Thomas, who first got the bug in a big way, going to Cassien as soon as the news leaked out. Was I missing out? 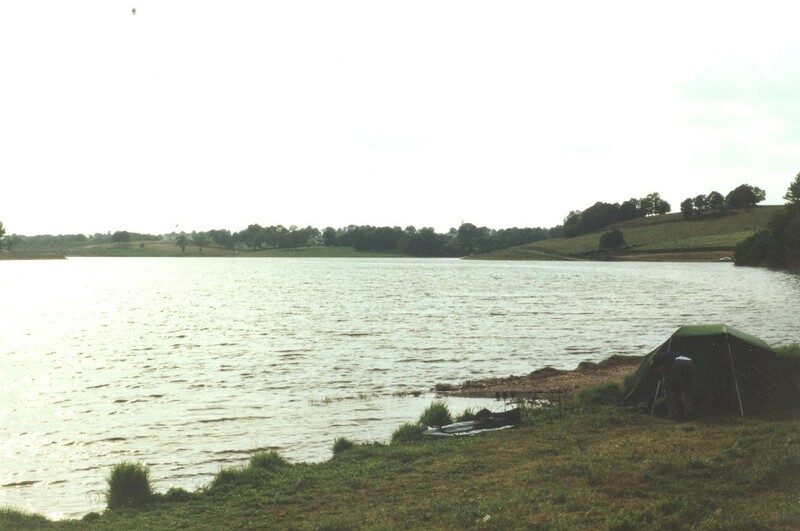 As the seasons passed I began to feel a bit jaded with my carp fishing in England and so in the dreariness of the extremely damp and wind-blown winter of 89/90, I sounded out a few Roche A.C. members about arranging a French trip. As it turned out my old mates from College days (and elsewhere), Nige Britton, and Steve Westbury could be persuaded, given a modicum of arm twisting. It was time to bite the bullet and leave the sleepy predictability of our club waters and the ressies and head off for pastures new in search of the (supposedly) big carp in the lakes and rivers northern France. It was Starship Enterprise time: time to split infinitives where no man has split before. Just one look at the map of the northern France will show you just how much water there is in the region. Draw a line through France from, say, Le Havre through Le Mans down to La Rochelle and see for yourself just how many big blue bits show up on the map. We had set our hopes on a water that I had heard about the previous year when but subsequent inquiries revealed that the lake was currently empty! Bugger! With our departure only a week or so away our severely limited knowledge of French fishing, was proving rather a drawback. At one stage we even talked about calling the whole thing off, but Steve was having none of that. It had taken many hours of patient work on his missus to get the OK for him to go in the first place: now that he�d got the boss�s permission, he was bloody well going, end of story. More out of hope than expectation I rang Geoff Shaw, whose reputation for catching huge fish from French waters was spreading quickly. I outlined our problem and was delighted when he gave us the name of a water that had apparently produced very big fish of over 50lbs. Geoff did warn us that he had no first hand knowledge of the water and he couldn�t tell us any more other than it was supposed to be a good bet. But as he�d never even seen the water, let alone fished it we were on our own from there on in. Fair enough. What more could we ask? We sailed on the 8.00 am ferry from Plymouth in mid-May, with ten days holiday ahead of us. The crossing was uneventful, the weather staying relatively calm, and after a few hours heading south we reached our destination, the huge lake Geoff had told us about. It was actually a lac de barrage, a dammed section of the River Villaine. This is just a small part of it.. These small fish were not what we had come to France for but to be honest their size did not matter one bit. Francois, his family and his mates became firm friends and in the village the local restaurant treated us like visiting royalty. Though the gite was well fitted out with a modern kitchen, more often than not we ate out, usually in the village and it was the during the small hours that we made our unsteady way back to the welcoming comfort of the gite. We were invited to the houses of total strangers where wine was opened and glasses sunk. We attended a small fete on the village green, we ate barbeque with Francois and half the village in the grounds of the old chateau. It was magic! Then all too soon the holiday was over. The fishing had been superb, and once we�d resigned ourselves to the fact that there probably weren�t any huge carp in the lake, we learned to greet each enthusiastic run with the pleasure that a carp, no matter what its size, can bring. We must have caught a hundred fish or more, predominantly small commons. 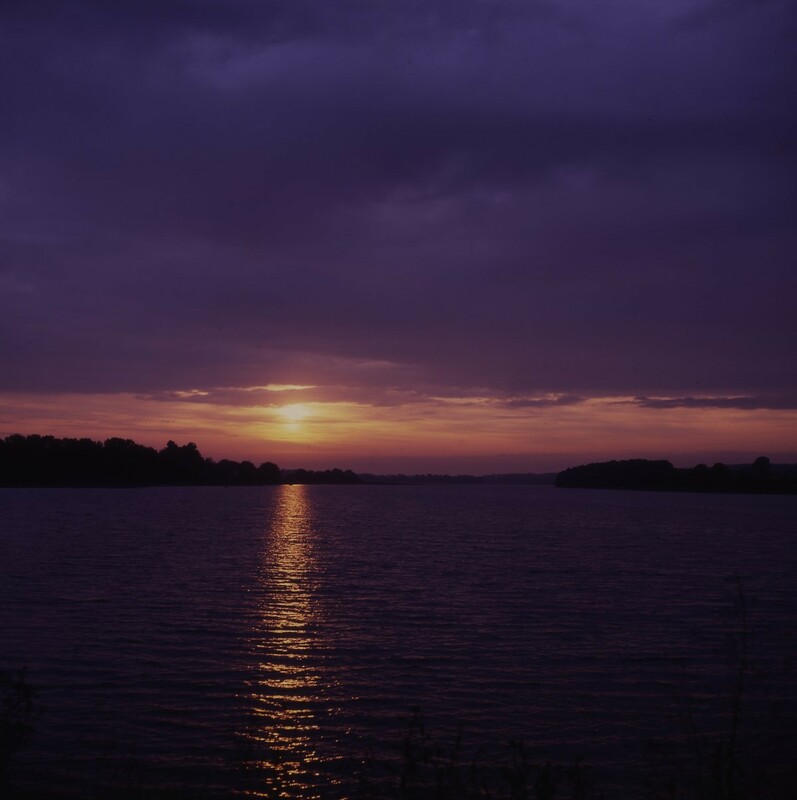 If there were monsters in the lake, we certainly weren�t clever enough to tempt them. Did Francois truly believe in the monsters or was he gently tacking the pith? 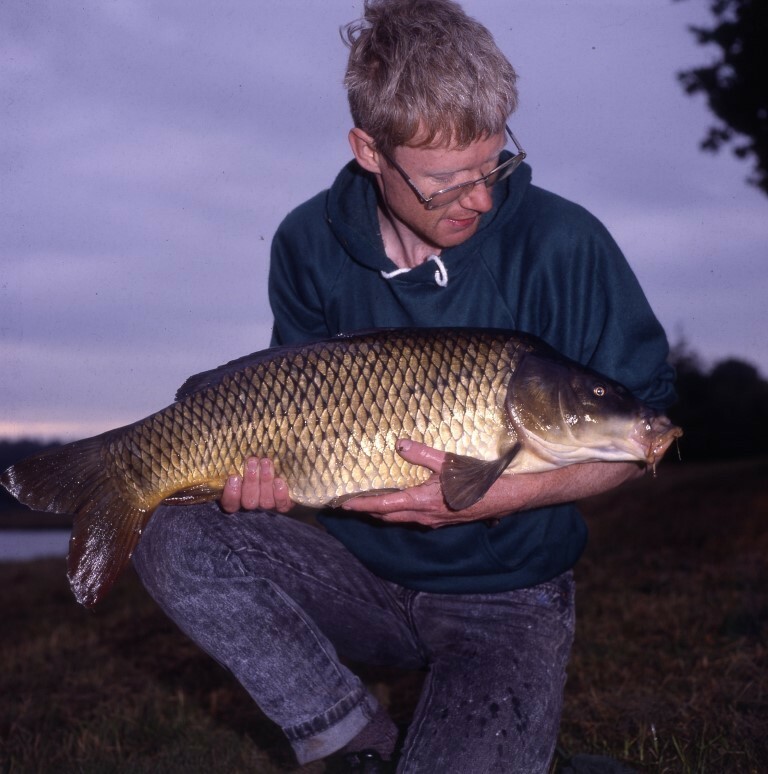 Who knows�There is more to carp fishing than the single-minded pursuit of monsters. 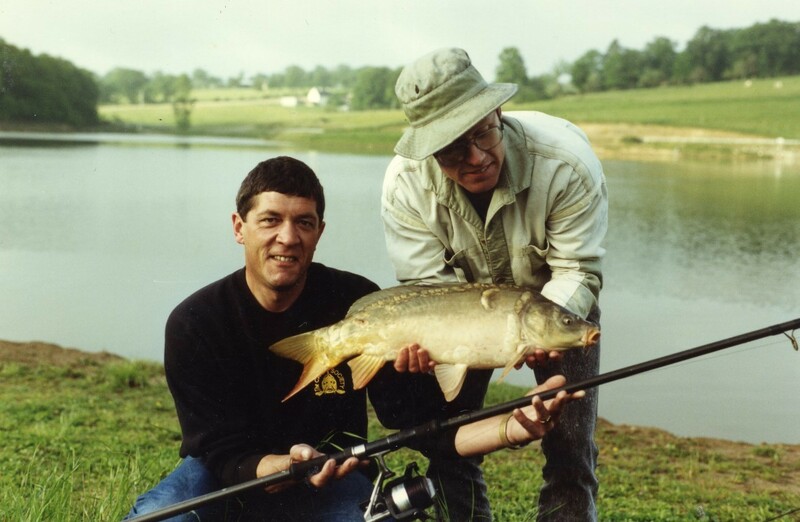 That first visit over thirty years ago was only the first of many that followed that were considerably more successful in terms of size of the carp caught, however, as a taste of French kindness and hospitality it was one of the best holidays we have ever had. 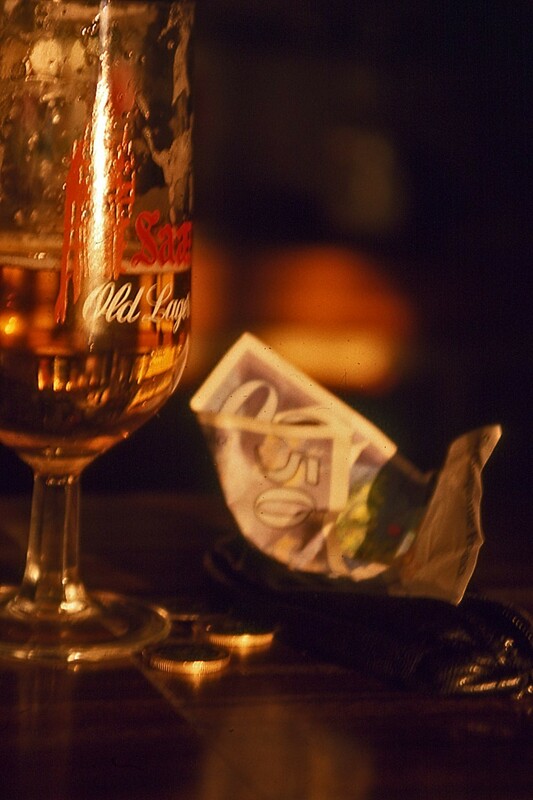 This was a time pre-Euro when we got about fifteen francs to the pound and a beer cost five francs. You could eat a four course meal with a bottle or two of wine for the equivalent of about a tenner. Hey-ho! We remember that little lake in the trees, the golden sunsets, the seemingly endless blue skies. We remember the village and, of course, the family of M. Renault. We remember the friendliness of the local inhabitants, the bar with its noisy, boisterous good humour. 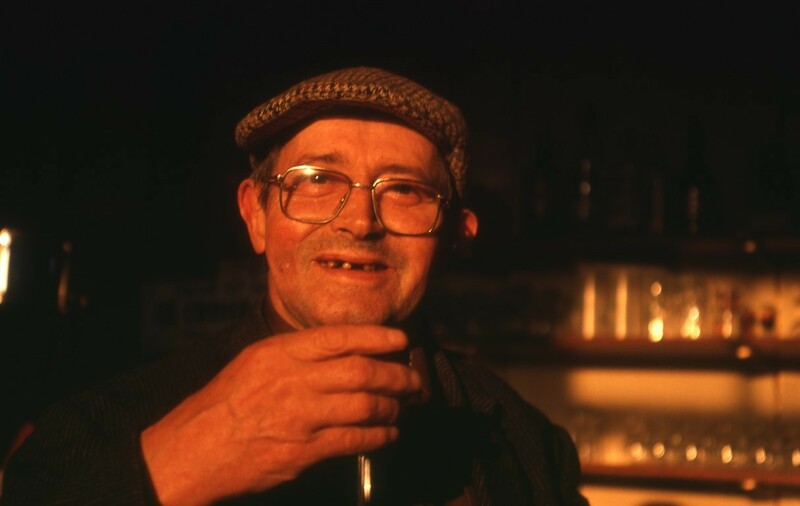 We remember the old boy in the cap who said he was over a hundred years old and drank half a bottle of red wine a day�it was, he claimed the secret of a long and happy life! We remember Sam the dog and his red scarf who came and sat beside the rods nearly every day. So many memories�we are swamped by them. In a way it was all a bit too perfect and with hindsight it probably spoiled us for other gite holidays. 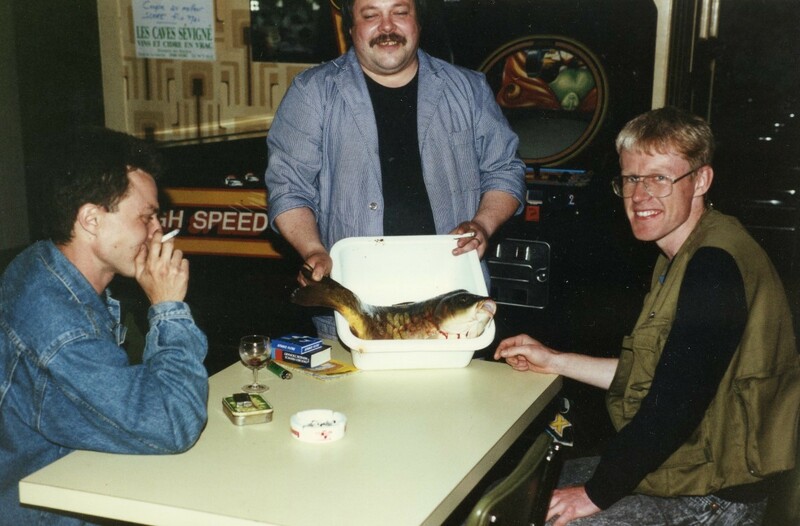 In '94 we went back, not to search for Francois� mythical giant carp, which we never caught, but simply to enjoy the good things of life once again. It was as good a holiday as our first visit and one day soon we must go back again, though I doubt if the carp will have grown much over the years! They were certainly no bigger in '94! No sooner had we slipped it back than Tat had another, a brother chip to her first fish, another common. A huge area of coloured water showed us that the carp were really feeding hard on the bait carpet and Carole and I had takes almost simultaneously. Carole lost her fish in the pads, but mine was another small common. And so the day passed. The fish fed sporadically right through it and by the evening we�d had at least dozen or more fish between us, though we�d also lost one or two in the jungle stems of the lilies. We caught nothing big but they were carp for all that, and though we were beginning to doubt our host's proud boast of twenty kilo fish, we were perfectly happy. The next day�s fishing was a repeat performance. The fish came steadily throughout the day, as did the number of visits we had from Francois and his friends, along with a few curious villagers. 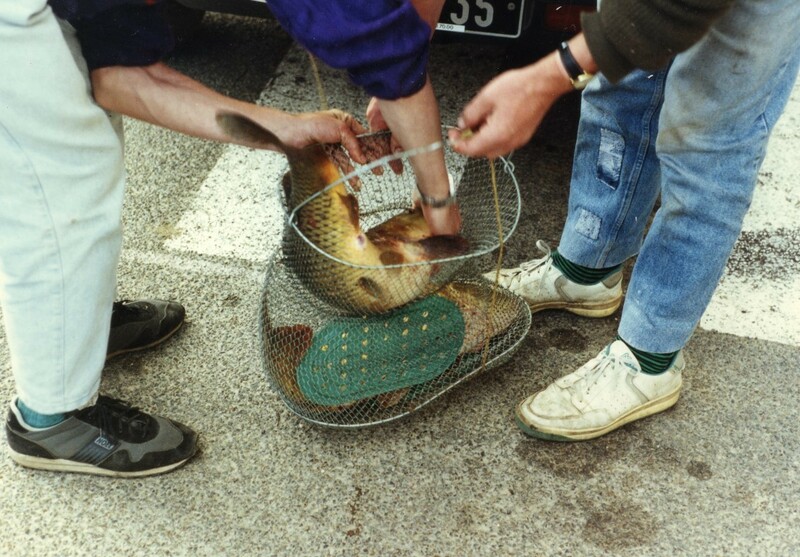 They were puzzled at first that we were returning our fish, for stuffed carp is a delicacy on most French dining tables. 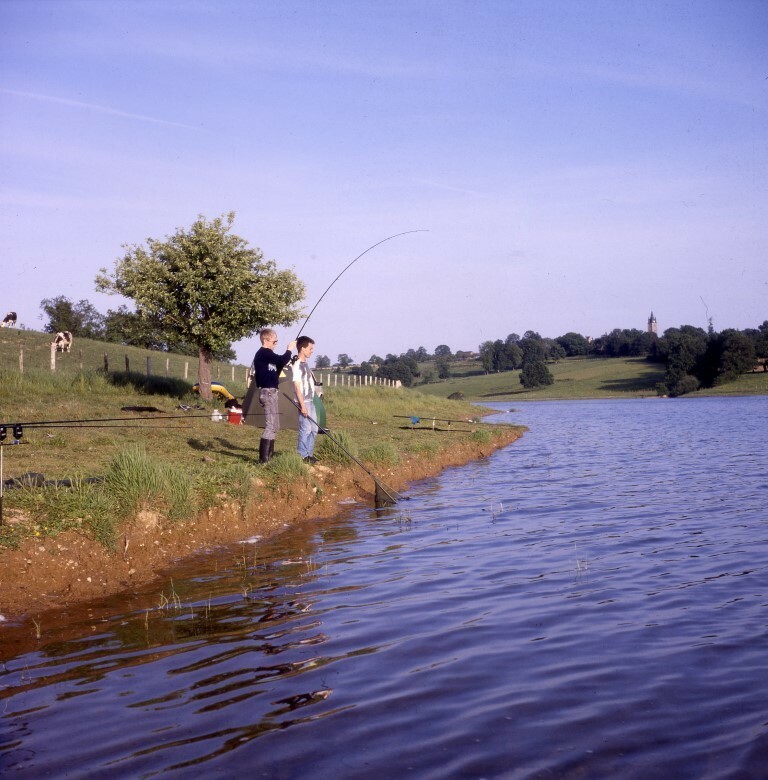 I explained that in England all freshwater coarse anglers return their fish to the water, and this seemed to reassure them that we weren�t completely mad. If we were happy, then so were they. We had come to France to soak up the French way of life, so the fishing took second place for much of our stay. Meanwhile we ate seafood that was fit for a king and drank wine that cost less than a pound a bottle and was still better than anything we could buy for a tenner in England. We felt honour bound to visit the glorious chateaux and the region�s beauty spots, and were rightly impressed by both, but each morning and evening we were drawn back to the lake and it�s always-obliging carp. We fished a few different areas trying to find the rumoured monsters, but they remained an enigma. We sat around the garden table in the bright morning sunshine, sipping piping hot coffee and thick red wine while Francois gave us the history of the lake. It was all very pleasant, but in truth, all I wanted to do was get on with the fishing, for the beautiful lake was crying out to me. The deputation had other ideas. Another car pulled up, disgorging yet more visitors and it soon became clear that, like it or not, we were going to get the Grand Tour. The cars bore us away towards the lake along a dusty road lined with poplar trees and for the rest of the morning Francois and his entourage showed us proudly around the lake while a ragged pack of mongrels, Sam at their head, fussed and blundered about in the thick, cool undergrowth. It was a hot and tiring hike but as the tour wound its way back to the cars, lunchtime beckoned and we were whisked off into the village to be showered with still more French hospitality. It was late afternoon before we eventually got back to the lake, far too late to do any fishing. A few local pike and eel fishermen were slowly packing up while the sun set. The lake was still and brooding set in the a red haze like a deserted arena waiting for the shadowy night players to make their unofficial entrance. At the crack of noon the next morning (I blame the bar) we were up and about, preparing the bait for the coming day�s fishing. We had bought a few kilos of maize from the local milling co-operative and the little yellow grains had been soaking in a bucket of flavoured water overnight. We piled everything into the car, and drove down the dusty unmade road towards the lake. At the water�s edge we set up the rods, baited the hooks with three or four grains of maize and cast across to the edge of the lilies that reached out from the tangle of trees along the far bank. I walked round with a bucket of bait and a baiting spoon and showered a liberal carpet of maize over a wide area. As the sun made its way up behind the tall poplars of the east bank behind us we sat in the peaceful contentment of the perennial angler�s wait. It didn�t take the carp very long to find the baited area. Before the sun had even cleared the tops of the trees they had moved in and started to feed. Carole had the first fish, which plunged straight into the pads. It looked to be well and truly snagged, but after a while the lilies started to ping up to the surface as the line severed it�s way through their tough roots. Eventually it was free and in open water fighting hard but it was clear this was no monster. Soon it flopped into the net, a small common, maybe five pounds tops. Well, it's a start! Francois had no English at all so I dragged my schoolboy French from the recesses of my memory and haltingly we began to talk. I asked about the fishing and pointed on the map to the river and to a couple of small lakes some ten kilometers away. �Your own lake?� I asked. �But of course,� replied Francois. �The commune has it�s own lake here in the village.� He rose from his chair and climbed the stairs to the first floor, beckoning us to follow. He pointed through a landing window. �Look!� Through the trees the newly risen moonlight painted a dimpled surface with silver. �What fish have you got in there?� I asked, not really expecting anything too encouraging. 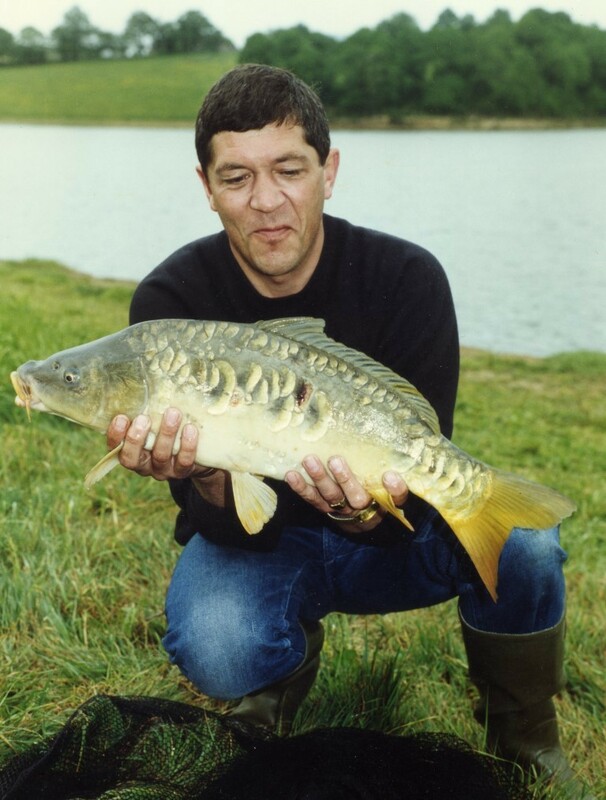 �Pike, zander, friture (small fry) and of course, carp." he replied. I hardly dared to ask how big were the carp but I did. Francois simply shrugged and spread his shovel hands. There was a yard between them! I grinned at Carole. Had we fallen on our feet? 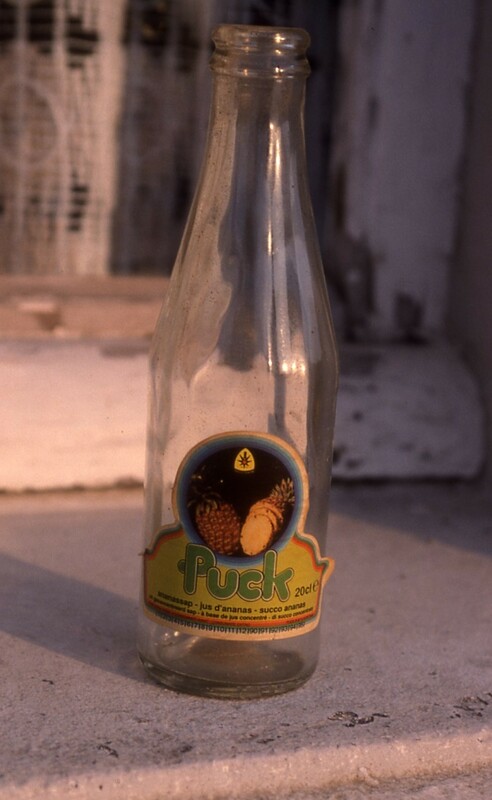 After Francois had left, two empty wine bottles later, Carole and I sipped a night-cap from an unlabelled bottle that he had left us. We slept well that night. I got up early the following morning to a warm sunrise already promising a hot day ahead and walked down through the sleeping village to the lake which lay absolutely still in the quiet morning. It was bigger than I�d first thought, perhaps five or six acres or so. Its was more or less square in shape and it looked old and well established with plenty of bank side foliage and vegetation, the banks heavily wooded but clean and obviously lovingly maintained. The banks were trim and well tended and it certainly looked to be a comfortable spot to fish, and a glance in the margins of the thick green-brown water revealed lake water that was absolutely teaming with life. The far bank was one big mass of lily pads and thick woods came right down to the water�s edge. It was absolutely gorgeous. A sign tacked to a tree told us that it was a private lake, but that day tickets were available from Francois� house at the exorbitant price of five francs a day! First things first. We needed supplies and a trip around the massive supermarket filled the car and emptied my wallet. Leaving the car park, I turned left instead of right. Lost once again, this time in the centre of town, we stumbled across a dark and dusty fishing tackle shop, tucked away down a dingy side street. We needed to buy fishing licences anyway, and while we were about it, perhaps someone could show us the way out of this God-forsaken town. The song and dance act that accompanied our purchase of a `carte de peche` seemed to take for ever, but at last we were granted legal status in the form of a buff piece of stiff paper that entitled us to wet a line. Later that morning, while we were having breakfast, a deputation from the commune came to visit, our host proudly at its head. We put more coffee on to bubble and hiss through the ancient machine, and though it was not yet ten o�clock, in France it is never too early for a glass of wine. Perhaps this is an opportune moment to open a couple of bottles, I thought. Nobody refused. Perhaps they were just being polite, but I rather doubt it.